Uncategories Is Artificial Intelligence a threat to future? 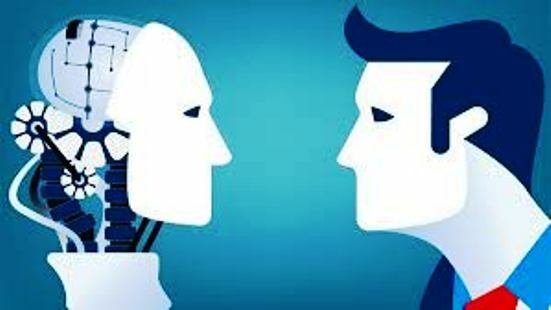 Artificial Intelligence – AI – is an area of computer science which has become an essential part of the technology industry that emphasizes the creation of intelligent machines that work and reacts like humans. Some of the activities computers with artificial intelligence are desired to include – speech recognition, learning, planning, problem-solving etc. Research associated with artificial intelligence is highly technical and specialized. The core problems of artificial intelligence include programme computers for certain trait. There is fear in the mind of people that with the introduction of Artificial Intelligence, there will be unemployment for which the world is already facing the crisis. For this, the majority of the labour organization are worried about it. To say anything about the future is always treacherous or in other words putting all eggs into one basket. Future normally is above over our expectations and doubts in the past. Every next moment comes with different pluses and minuses for which we have not even thought. Keeping aside the worries about the figure, then the good news in the world in the field of employment is Artificial Intelligence on which the lot of work is going on and creating the number of jobs. The communication revolution is at its peak but there are hardly left any future expectations. There will definitely be a future progress in this field but it will be on the slow pace but will be dependent on both Hardware and Software and that is why numbers of companies are already working on as it has better prospectus from the monetary point of view. At the very first instance, the expectations about the AI looks to be bright but with the marketing of this technology – like the driverless vehicles in the market – it will be dangerous for the trained drivers on job becoming unemployed. Not only this, the clerks, accountants etc. will also be spared as the computer is doing and in future will be smarter to do their jobs. The worry of the Trade Unions on this issue is genuine. Frankly speaking, nothing has happened like this as with the coming of the computer age, the services to the people have become easy even while sitting at home, one can avail a number of such services. Even search or ask for advice on the internet. New technology, without and beyond any doubt, unquestionably brings new things for which we don’t even think. There are certain jobs for which the management wants to get rid of its employees which will help them in progress but so far the history is a witness that without employees, none of the industry can progress. Computers know how to do one thing – Simple math and there is a long road from there to the kind of intelligence a human has. We should keep in mind that it is the human who can produce extra blood to donate to save the lives of injured or suffering from chronic diseases which the computer cannot do. However, according to Elon Must prediction, Artificial Intelligence would be seriously dangerous as it is a way of making a computer, a computer-controlled robot, or a software think intelligently, in the similar manner the intelligent humans think.